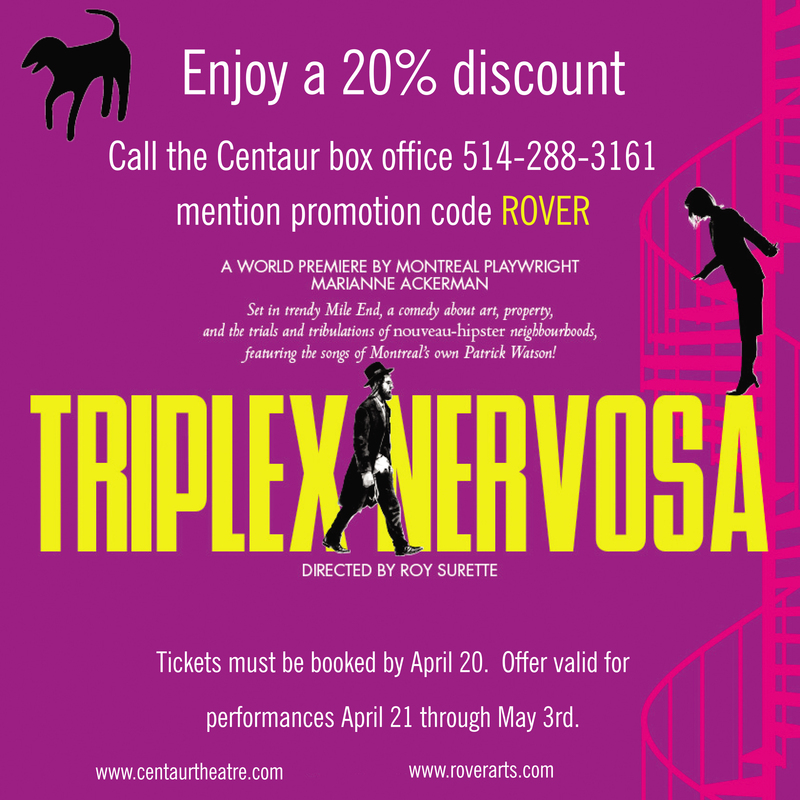 The world premiere of Marianne Ackerman’s Triplex Nervosa, a comedy set in Montreal’s Mile End neighborhood, will take place on April 21st at Montreal’s Centaur Theatre. The play is part of the 2014-2015 season and will run until May 17th. Marianne Ackerman is also the author of the short story collection Holy Fools + 2 Stories, which was published by Guernica Editions in Fall 2014. The collection is described by John Goddard as “fresh and original,” and by Terry Fallis as a book of “exquisite storytelling”. Copies will be available for purchase for $20 at the Centaur Bar throughout the play’s run. Tagged with Centaur Theatre, Holy Fools + 2 Stories, Marianne Ackerman, Triplex Nervosa.